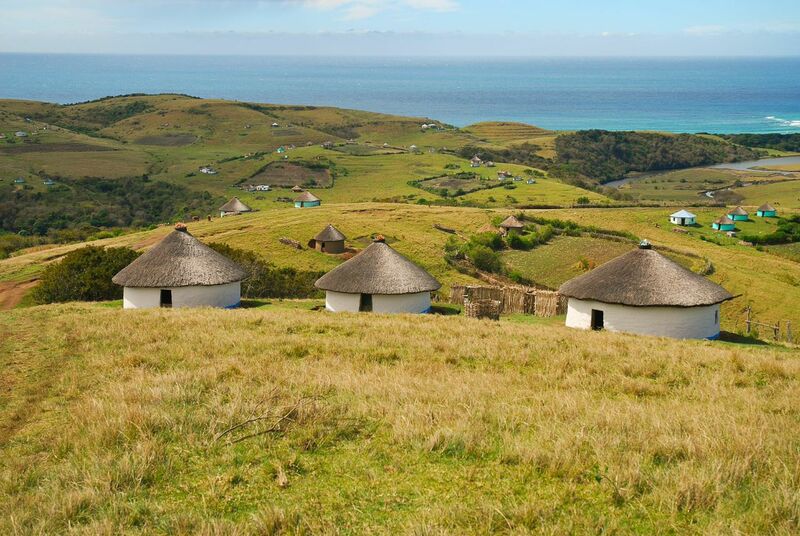 Subsistence farmers in the Eastern Cape, South Africa, tend to have mixed farming strategies. ‘Policy must be informed by the best possible information available. The Environmental Economics Policy Research Unit (EPRU) isn’t just trying to provide this to government, but to guide decision makers as they develop policy’, explains EPRU director Prof Tony Leiman. The team, based at University of Cape Town (UCT), School of Economics, works closely with industry bodies in these areas, but also collaborates with researchers at other key South African institutions, and with universities in Kenya, Tanzania, Mozambique and Namibia. A recent study by EPRU shows that South Africa’s agricultural policy should support a mix of crop and livestock farming amongst subsistence farmers in order to make them more resilient to the impact of climate change. This is in contrast with government’s existing approach, which supports small farmers to diversify only their crops in order to adapt to changes in climate. Dr Byela Tibesigwa, Research Fellow of EfD South Africa/EPRU. These kinds of small farmers are particularly vulnerable to shifts in climate because they depend on rain-fed agriculture and have limited ways to adapt to changing farming conditions. The take-home message for policy makers is that they should try to encourage a greater mix of crop and livestock farming for these small scale operators, rather than focusing on greater diversity in crops only. These findings were presented at the African Climate Conference: Advancing African Climate Science Research & Knowledge to Inform Adaptation Decision-Making in Africa, in Arusha, Tanzania. Tibesigwa conducted the research along with EPRU’s Prof Martine Visser and Dr Jane Turpie. South Africa’s small-pelagics fishery faces a reduction in the minimum total allowable catch following ongoing stock declines. Environmental resource scientists offer government valuable support in terms of guiding evidence-based policy for managing marine resources. This is particularly true at a time when the national fisheries department has lost key scientific personnel, and when there have been lengthy delays in the re-allocation of long-term fishing rights. Leiman explains that EPRU researchers regularly engage with the fisheries department on these matters, hoping that their findings will filter through to decision makers. EPRU members were amongst the academics, fishing communities and industry that government officials consulted with earlier this year, when they began redrafting the Marine Living Resources Act of 1998. Leiman says this is currently a ‘flawed document’. ‘Unfortunately, much still remains to be done, and the current management of inshore fisheries, in particular the conversion of small-scale private rights to communal ones, has been a source of serious controversy’, says Leiman. Leiman and his team are amongst the scientists, computer modelling experts, social geographers and environmental economists who are working together with academics from UCT, Rhodes University and the University of the Western Cape to help guide government policy making. EPRU has assisted Statistics South Africa (StatsSA), the national statistics service, in developing consistent accounting techniques for measuring and monitoring fishery activities in the national accounts (measures such as GDP, through which government keeps track of all economic outputs) using the United Nations accounting conventions. The EPRU was recently involved in producing the unpublished report for the country’s chief marine body, Marine and Coastal Management, in which they gave a critical review of the design, compilation and interpretation of satellite accounts for the country’s fisheries. Leiman also has a paper due out soon, in which he argues that over-estimating Namibia’s fisheries stocks leads to allocation of fishing quotas that are too high to be sustainable. This, he says, can compromise the long-term profitability of the private sector fishing industry by encouraging an over-investment in its fleet and related infrastructure.